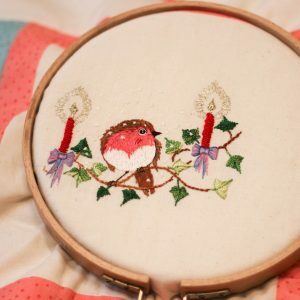 A little robin notices the first sprinkle of sparkling Christmas snow as he perches gracefully among the mistletoe and holly. 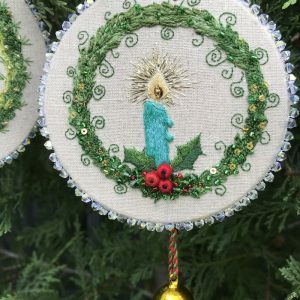 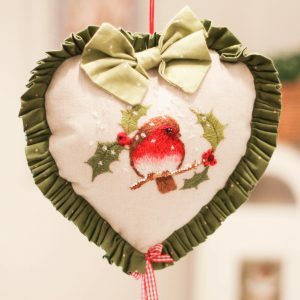 Stitched on your choice of rich navy fine wool blanketing or natural linen, this festive door hanger features a thread painted heart-shaped centerpiece, framed with a gathered frill and finished with a decorative bow and luscious golden Christmas bell. 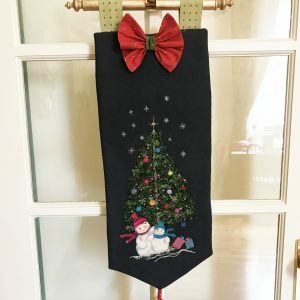 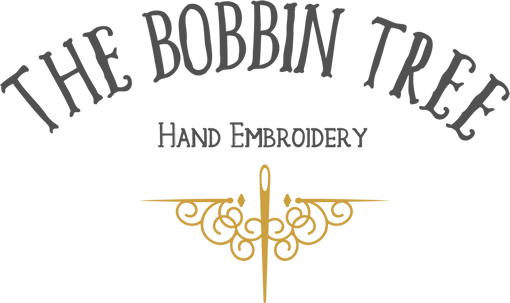 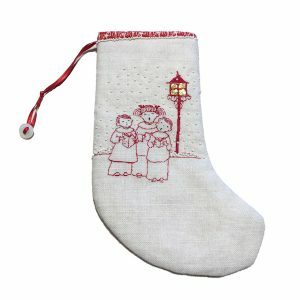 This lovely door hanger will make the perfect gift for a fellow stitcher, just in time for Christmas! 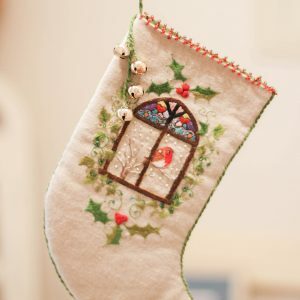 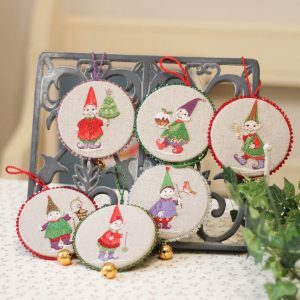 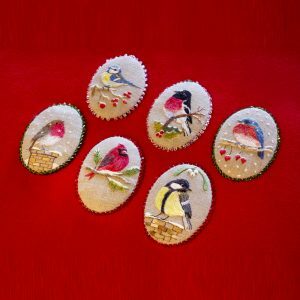 Mistletoe Kisses is the newest in a series of Christmas 2013 designs by Jenny McWhinney. 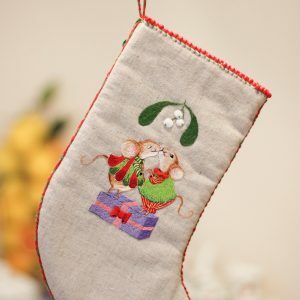 Featuring a pair of mice that have found themselves caught beneath the mistletoe. 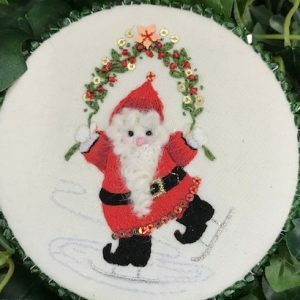 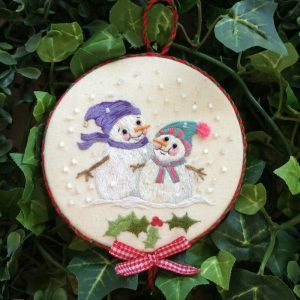 This design features two snowmen with their scarves blowing in the wind standing under a Christmas tree in time for the festive season!